Natural Born Learners : Natural Born Learners: Buy the Book. 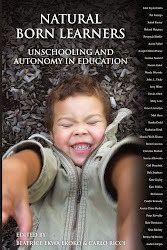 January 2014—Natural Born Learners: Unschooling and Autonomy in Education edited by Beatrice Ekwa Ekoko and Carlo Ricci. We are pleased to announce that our reader is live. Humans are natural learners. This collection of essays challenges much of mainstream beliefs about how people learn, encouraging the reader to consider deeply the need for learners to be trusted and listened to. Many of the authors in the book begin from a learner-centered, democratic perspective. Divided into three sections, the first part of the book deals with what constitutes a learner-centered approach to education. The second section addresses how some have implemented this approach. In the last section, learners who have lived learner-centred learning share narratives about their experiences. 3. The stories of those who unschooled and are now adults. Interviewees were contacted. Volunteers helped transcribe all of the audio interviews into written text. Chapters were sent back to each of the interviewees and they were asked to reread the edited version and make changes as they saw fit, and to approve the form that it was in. Although most of the pieces are transcribed and edited versions of interviews that were conducted for Radio Free School, some are pieces that were written for the Radio Free School blogspot. A handful of pieces were ones we solicited later because we felt they provided a valuable addition to the book. Although, we do not claim to agree with everything that is written in the book, our goal is to provide an overview of what unschoolers, and those sympathetic to unschooling and self-determined education, are thinking and doing; and then allow each reader to make use of the ideas presented as they see fit. We see unschooling as a learner-centered, democratic approach to education. We believe that it is through self-determination and autonomy that learning happens at its best. Furthermore, we believe that the unschooling worldview is about more than learning: it is about taking charge of one’s own life. 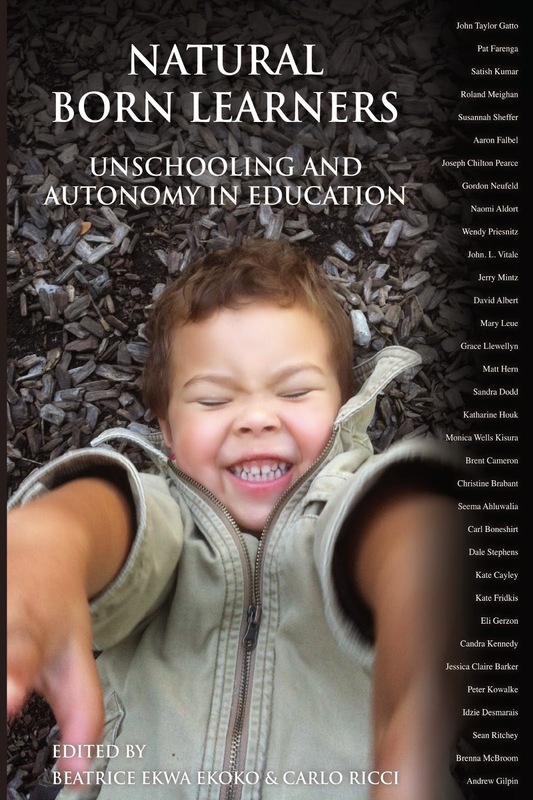 In editing this book, we are hoping to help people to realize that unschooling is not something foreign, but that it is something that we all do, all of the time. And more than that, when we unschool our most powerful learning usually happens. We unschool when we self-determine our learning about most anything. It could be about cooking, bike repairs, home repairs, math, physics, reading, music and so on. The list is infinitely long. Since we all do it, and it works so well, the goal is to ensure that we become more mindful of what we do when we self-determine our learning, and that we extend this powerful way of learning to more areas of our lives. - Peter Gray, Research Professor of Psychology at Boston College and Author of Free to Learn: Why Unleashing the Instinct to Play Will Make Our Children Happier, More Self- Reliant, and Better Students for Life. Beatrice Ekwa Ekoko is a free-lance writer and blogger. She blogs extensively at Natural Born Learners (radiofreeschool.blogspot.com) and has founded Personalized Education Hamilton to facilitate self-determined learning in her community. She works for a not-for-profit environmental organization as a project manager and coordinator. She lives in Hamilton, Ontario with her husband and three children who were all unschooled for a time. Visit her website to see other writing at bekoko.ca. Carlo Ricci is a professor of education and currently teaches in the Graduate Program at the Schulich School of Education, Nipissing University. He edits and founded the Journal of Unschooling and Alternative Learning. He has written and edited a number of books including The Willed Curriculum, Unschooling, and Self-Direction: What Do Love, Trust, Respect, Care, and Compassion Have to Do With Learning; and Turning points: 35 Visionaries in Education Tell Their Own Stories (AERO, 2010) with Jerry Mintz; and The Legacy of John Holt: A Man Who Genuinely Understood, Trusted, and Respected Children (HoltGWS, 2013) with Patrick Farenga. He has also written numerous articles on unschooling and self-determined learning. He lives in Toronto, Ontario with his wife and two children. I love this cover! Very excited for your book!